NOTE: This is the text of a short talk that I gave at the CAA Calligraphy/Epigraphy Session of the College Art Association 104th Annual Conference in Washington, DC on February 5, 2016. The session, officially entitled Forming Letters: New Research in Renaissance Calligraphy and Epigraphy, was chaired by Debra Pincus and included presentations by David Boffa, James Fishburne, Roberta Ricci, Philippa Sissis and myself with William Stenhouse as the respondent. Jonathan J.G. Alexander added a tribute to Albinia de la Mare whose work was one of the spurs that encouraged Pincus to create the session. * My talk is an outgrowth of an article I wrote several years ago with the misleading title “Poggio’s Epitaph” (Alphabet [Summer 2008], pp. 11–17). The issue can be ordered from The Friends of Calligraphy. Fig. 1 Dedication plaque with text by Poggio Bracciolini (1438) in S. Maria, Terranuova Bracciolini. Photograph by Bronwen Job (2014). 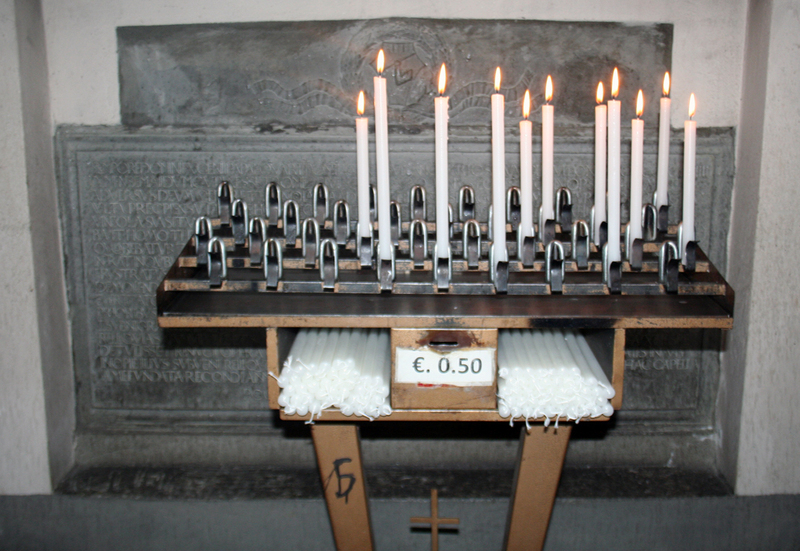 Note the rack of votive candles in front of the inscription. Fig. 2 Dedication plaque of Poggio Bracciolini (1438). Photograph by Paul Shaw (2007). Fig. 3. Left side of Poggio inscription (lines 1–18). Photograph by Bronwen Job (2014). Compare the letters in line 1 to those in line 18 to see the radical transformation of form that takes place in the text. B.L. Ullman has called Poggio Bracciolini (1380–1459) the “inventor” of the scrittura umanistica or humanist bookhand c.1402/1403. He has also suggested that Poggio’s manuscript majuscules played an important role in the Renaissance revival of Roman capitals. Although his evidence for this claim is not convincing, his idea of Poggio’s broader importance is strongly supported by the Terranuova inscription. Manuscripts copied out by Poggio have pen-made letters with minimal or no serifs; and those copied by scribes at his behest often contain initial letters similar to the inscriptional letters found in the sculptural work of Ghiberti, Donatello, Michelozzo, Luca della Robbia and others from 1412 through the 1440s. [fig. 4] Ghiberti called his capitals lettere antiche but they, and Poggio’s initials, were actually indebted to Carolingian and Romanesque capitals rather than anything from Ancient Rome. These letters are marked by thick-to-thin stroke contrast, terminals that are either wedge-shaped or flare, and an absence of serifs. [figs. 5 & 6] The latter characteristic led Nicolete Gray to dub them Florentine Sans Serif. Such letters play a role in the Terranuova inscription. Fig, 4. Detail of Poggio manuscript (Vat. lat. 1849, fol. 182) (1425–1426). From The Origin and Development of Humanistic Script by B.L. Ullman (Rome: Edizioni di Storia e Letteratura, 1960), plate 25. Fig. 5. Detail of Statue of St. Matthew (1419) by Lorenzo Ghiberti (Orsanmichele, Florence). The capitals have thick-and-thin strokes and wedge-shaped terminals. Fig. 6. Romanesque inscription (1270) on the doorway of the Pantheon in Rome. Photograph by Paul Shaw (2007). Compare the letters, other than the uncial alternates for D and H, to those by Ghiberti in fig. 5. The Terranuova inscription is 59 cm (23.25 inches) high by 138 cm (54.33 inches) wide. The text is eighteen lines long, flush left, ragged right, with the last line centered. The letters vary in height from 23 mm to 25 mm depending upon the line. Word spacing is so tight that it often seems non-existent. The massing is enabled by the liberal use of a variety of Medieval space-saving strategies: ligatures (including a few three-letter combinations), nested letters, overlapping letters, tall letters, abbreviations, and a Z-shaped Tironian et. [fig.] . (Tironian notes are a form of shorthand invented by the scribe Marcus Tullius Tiro, secretary to Cicero.) 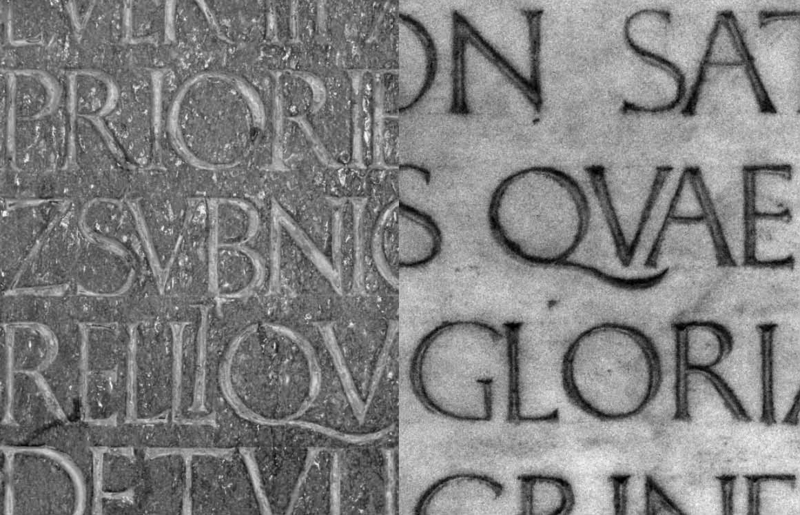 Beginning with line 10, puncti, a feature of classical inscriptions, are present between most, though not all, words. Light guidelines for the tops and bottoms of letters are visible (e.g. line 11). All of this suggests an inscription struggling to escape the Medieval world and enter the Ancient one. That sense of transition permeates the letterforms. Fig. 7. 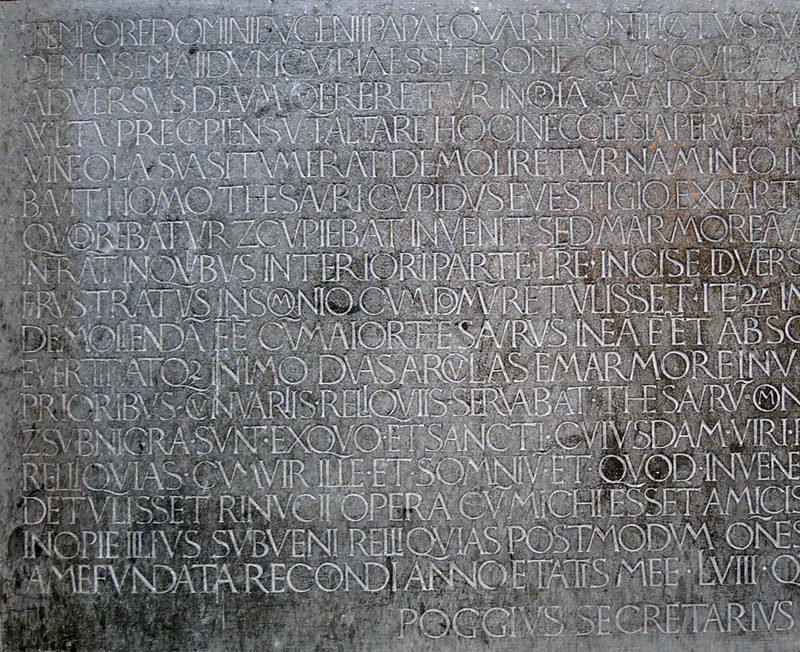 Detail of the Trajan inscription (114 AD). Note the form of the key letters E, M, N, Q and R. Photograph by E.M. Catich. Fig. 8. Fragment of an Imperial inscription in the Foro Romano. Photograph by Paul Shaw (2007). Fig. 9. Cantoria by Luca della Robbia (1437). Formerly in the Duomo, now in the Museo del Duomo, Florence. Photograph by Paul Shaw (2007). Fig. 10. 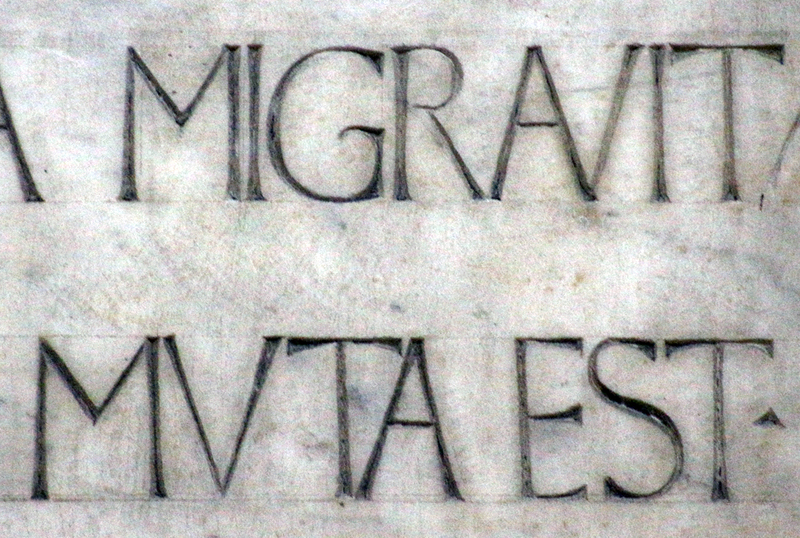 Detail of the last line of the inscription on the Cantoria by Luca della Robbia. Compare the forms of A, E, M, N and R to those in figs. 7 & 8. Fig. 11. 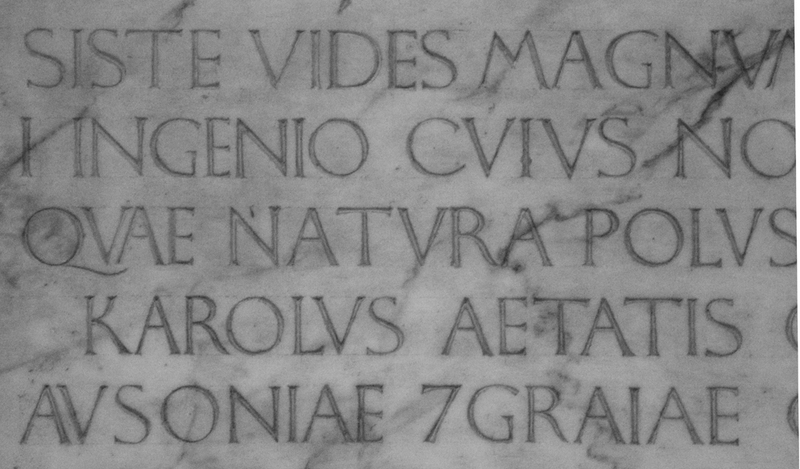 Detail of Poggio inscription (lines 1–4). Photograph by Paul Shaw (2007). Fig. 12. Detail of Poggio inscription (lines 9–12). Photograph by Bronwen Job (2014). Fig. 13. Detail of Poggio inscription (lines 15–18). Photograph by Paul Shaw (2007). Fig. 14. Comparison of key letters in the Trajan inscription (in brown, left column), the Cantoria inscription (in brown, 2nd column) and the Poggio inscription (in red). The latter shows several iterations of each letter to indicate the transformation that takes place within the inscription. Drawing by Paul Shaw based on photographs. Fig. 15. 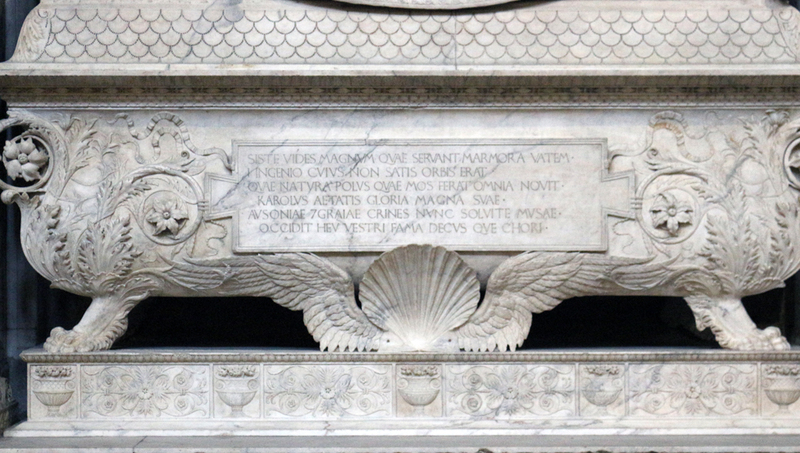 Detail of the inscription at the base of the Tomb of Martin V (c.1445) in S. Giovanni in Laterano. Photograph by Paul Shaw (2013). Note the wedge-shaped lower horizontal of E and the thin diagonal on N, two Florentine sans serif traits. Fig. 16. Detail from the fresco of St. James by Andrea Mantegna (c.1448–1454), formerly in the Ovetari Chapel of the Church of the Eremitani (Padua). The letters are more Republican than Imperial in form and detail. Fig. 17. 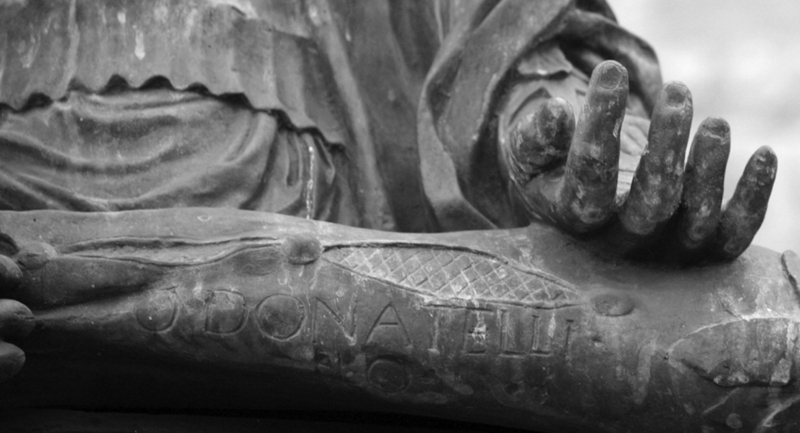 Signature of Donatello on base of the Statue of Gattamelata (c.1453) in front of S. Antonio (Padua). Photograph by Paul Shaw (2013). Fig. 18. Signature of Donatello on the pillow of the Statue of Judith and Holofernes (1457–1464) in the Palazzo Vecchio (Florence). Fig. 19. 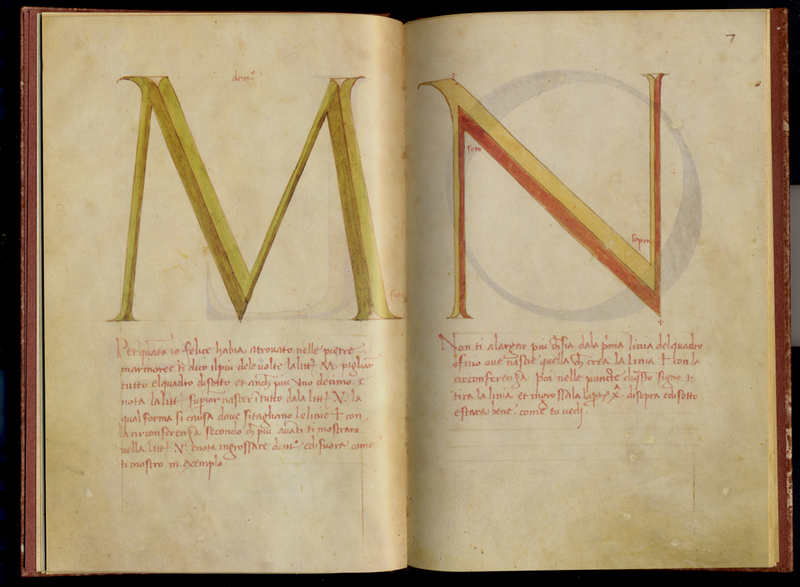 M-N spread from Alphabetum Romanum [Vat. lat. 6852] (c.1460) by Felice Feliciano. Courtesy of Scrinium. Fig. 20. Rubbing of letters from Tomb of Cardinal Ludovico d’Albret (d.1465) by Andrea Bregno. Rubbings by Paul Shaw (2002). Note the serifs at upper left of M and N that deviate from the Trajanic model. Fig. 21. 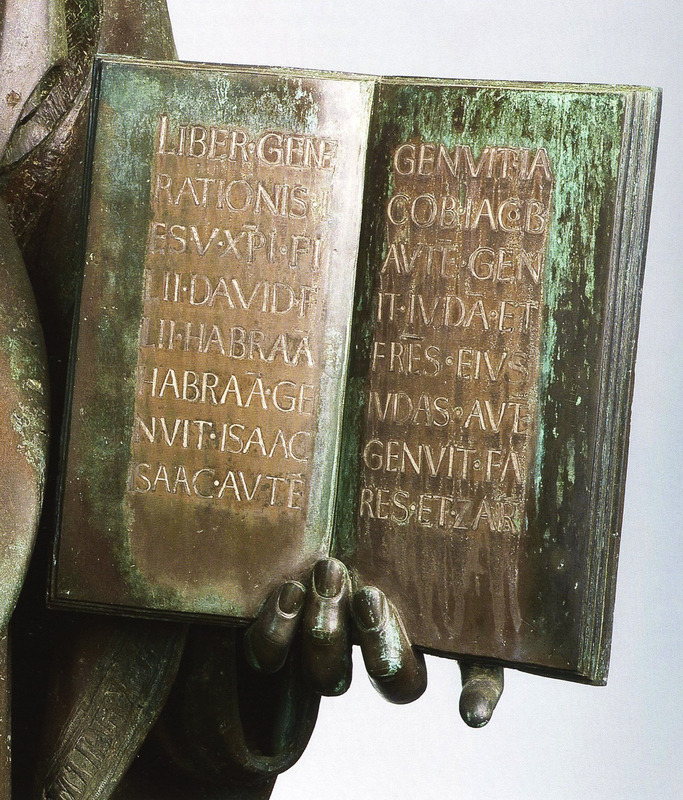 Detail from the Sepolcro Rucellai inscription (1467) attributed to Leon Battista Alberti. Photograph by Paul Shaw (2014). Fig. 22. 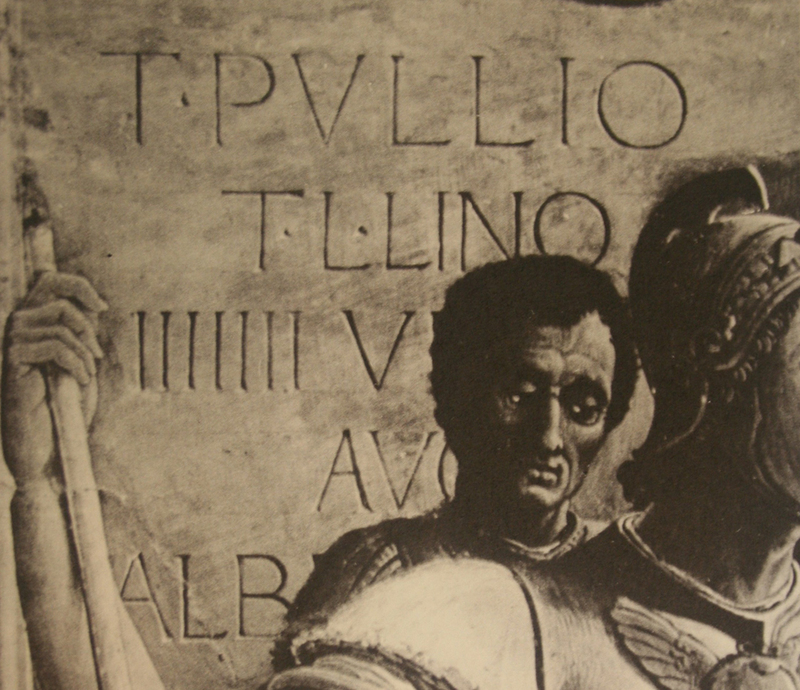 Drawing of key letters from Tomb of Martin V (far left), Alphabetum Romanum (2nd from left), Tomb of Ludovico d’Albret (3rd from left), and Sepolcro Rucellai (right). Drawings made from a combination of photographs and rubbings by Paul Shaw. Fig. 23. 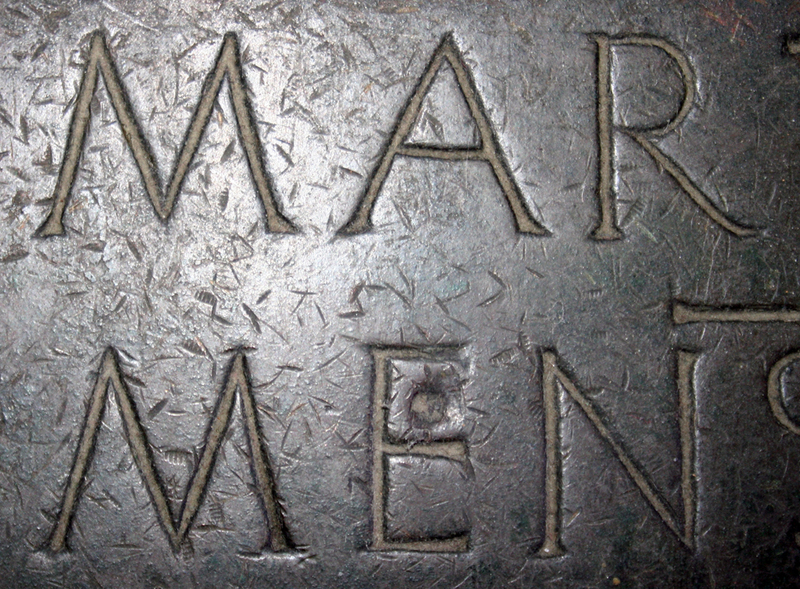 Inscription on the Monument to Carlo Marsuppini (1454–1459) by Desiderio Settignano in S. Croce (Florence). Photograph by Paul Shaw (2015). Fig. 24. Detail of the inscription on the Monument to Carlo Marsuppini. Photograph by Paul Shaw (2015). How can the similarities of these two inscriptions—carved two decades apart—be explained? I believe the link is Poggio. He was a friend and humanist colleague of Marsuppini and his successor as chancellor of the Republic of Florence. Although he is not mentioned in the literature as being involved in the plans for Marsuppini’s monument, I believe that upon returning to Florence from Rome to take up the post of chancellor he took an active role in its epitaph. The authorship of the epitaph is a mystery and debate between the Martelli and Medici families over it has led to conflicting opinions among contemporary art historians as to the completion date of the monument. I am not suggesting that Poggio wrote the epitaph—though such an act would have mimicked Marsuppini writing the epitaph of Leonardo Bruni, his predecessor as chancellor—but that Poggio was involved in its visual appearance. There is no indication as to who carved the Terranuova inscription, though the constant mutation of letterforms points to a single individual. Furthermore, the shallowness of the carving—it might better be called gouging since there is no V-cut and there are multiple striations within the strokes—and the varying widths of strokes suggest someone with minimal experience cutting letters. 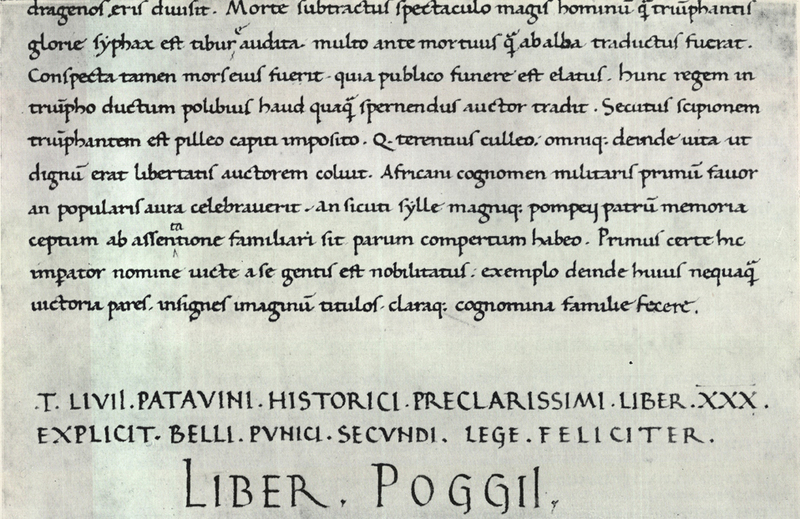 I theorize that Poggio, who had carefully studied Roman inscriptions during his tenure as a secretary for the Church and begun to gather his research into a sylloge towards 1430, wanted the inscription to be cut in true Imperial Roman capitals rather than in the Florentine sans serif that had become popular. The difficulty facing Poggio was how to convey the form of these ancient Roman letters to a Tuscan sculptor or stonecutter who had probably never been to Rome. In the 1420s Poggio successfully taught scribes to write the scrittura umanistica, in some cases so well that scholars have mistaken the manuscripts for those copied out by Poggio himself. But, judging from his sylloge, he lacked the drawing skills necessary to accurately render the subtleties of Imperial Roman capitals, something which stumped even Jacopo Bellini. Furthermore, his eyesight was deteriorating after 1425 which would have made it even harder to draw precise model letters. Instead, Poggio probably made rudimentary sketches and showed the carver some of the Roman inscriptions he had collected for the garden of his country house in Terranuova. But the carver must not have fully grasped the importance of the details (e.g. 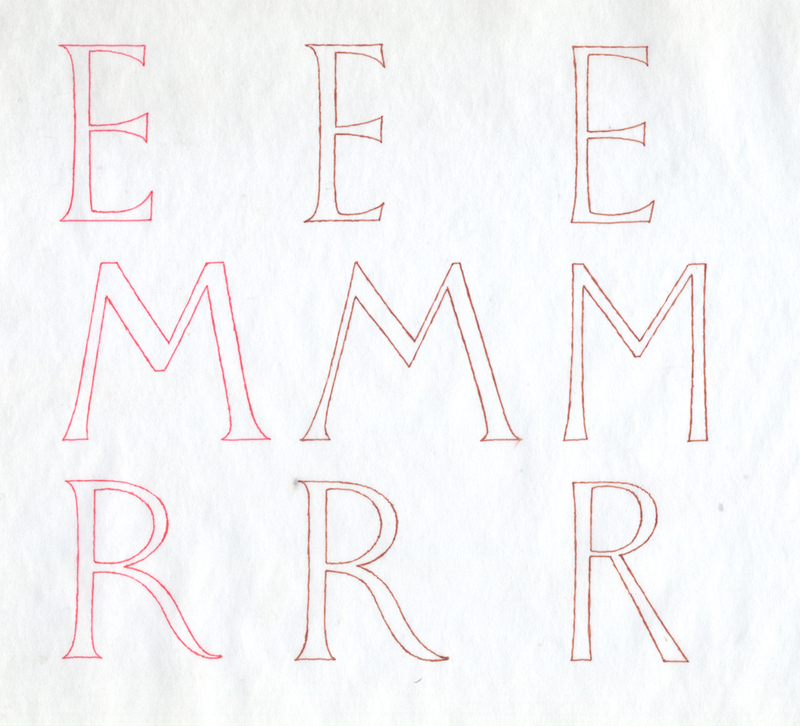 serifs) of the letters or lacked ancient Roman models for some of them. For the latter he turned to the Florentine sans serif, especially as found on the recently installed Cantoria in the Duomo [fig. ?]. 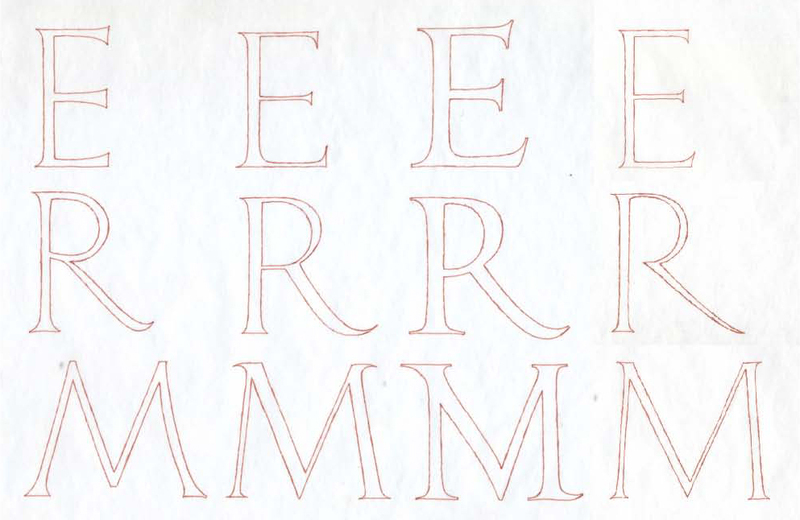 This would explain the M and R.
Poggio must have continually looked in on the carver to see his progress and, unhappy with the Florentine sans serif letters, begun to coach him on the proportions, forms and features that distinguished classical capitals. 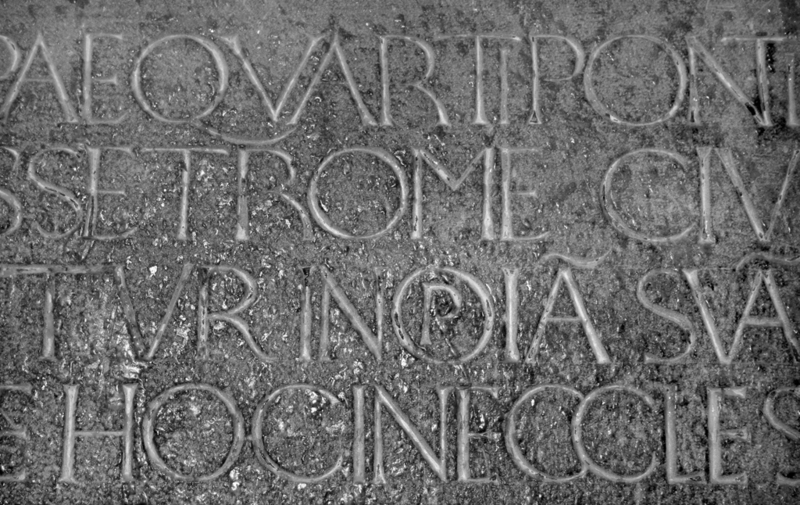 Under Poggio’s tutelage the letters of the epitaph slowly moved toward being true Imperial Roman capitals in all aspects, including the presence of bracketed serifs. This progress must have been painful at times as the carver was instructed to fix some letters, and to do so he had to recarve strokes, thus making them heavier and, in some instances, clumsier (e.g., RELLIQVIAS in line 17). Despite the difficulty of the work, the unknown carver—with Poggio’s guidance—managed to achieve the first credible letters in the manner of the capitalis monumentalis in the Renaissance. Fig. 25. 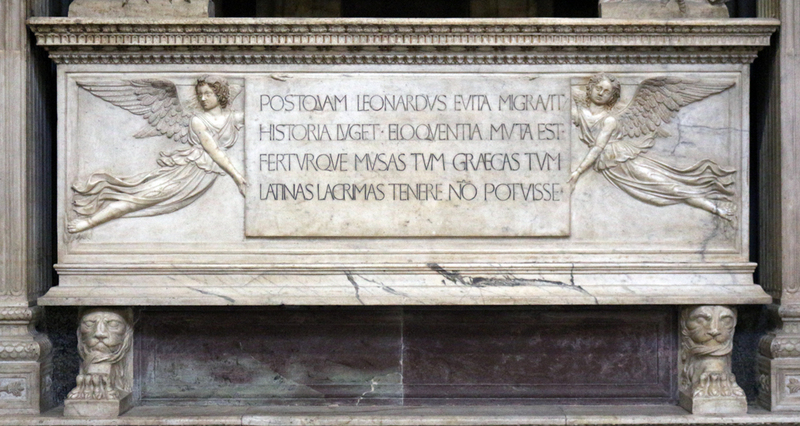 Inscription on the Monument to Leonardo Bruni (1449–1452) by the workshop of Bernardo Rossellino. Photograph by Paul Shaw (2015). Fig. 26. Detail of the inscription on the Monument to Leonardo Bruni. Note the thinness of the stems as well as the Florentine sans serif features (M with a short vertex, flared horizontals on E and T, flat apex of A). Photograph by Paul Shaw (2015). Although there is no documentary evidence of his involvement in the planning of the Marsuppini monument, the letters of the inscription strongly suggest Poggio’s influence. 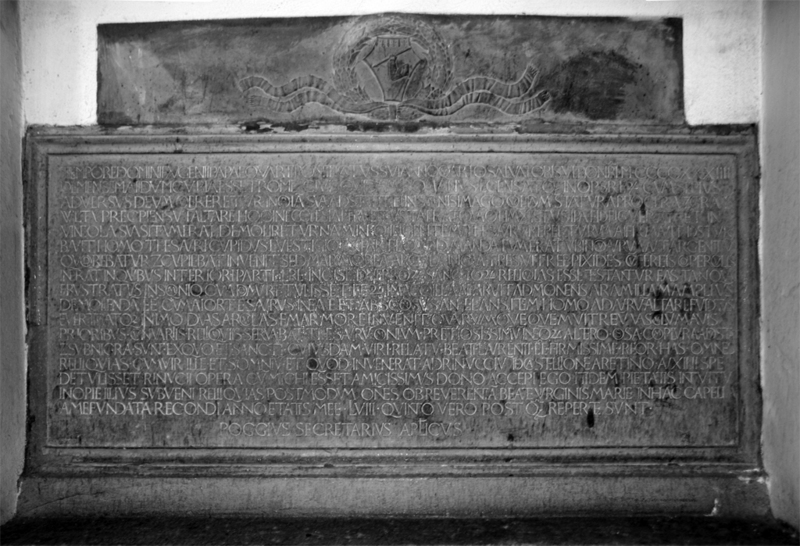 As a close friend of Marsuppini as well as his successor as Chancellor of Florence, Poggio would have had an interest in seeing the epitaph set out in Ancient Roman capitals as both a fitting testament to Marsuppini’s classical erudition and as a worthy—if not superior—companion to the Bruni monument. He would have been able to show the carver of the epitaph the Terranuova inscription as a model. 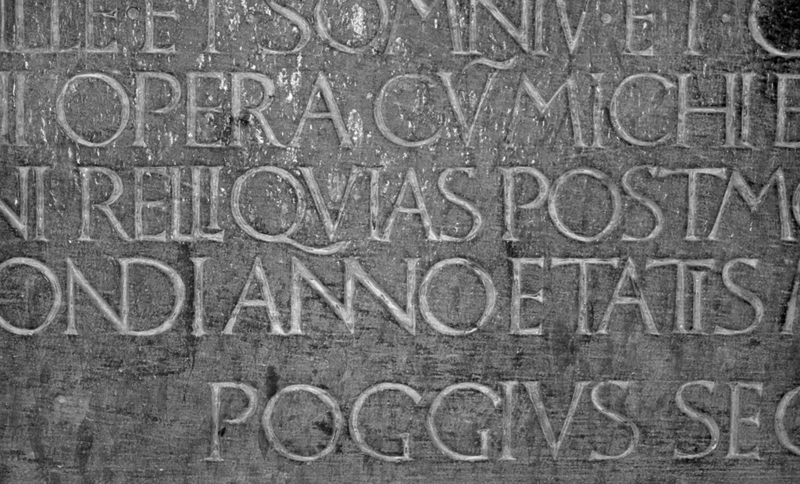 With a clear exemplar in mind, an experienced lettercutter (as the Marsuppini scalpellino clearly was) would not have needed the close supervision that Poggio exercised with the carver of the Terranuova inscription. Poggio would have been the facilitator of the inscription and its final arbiter. Fig. 27. Drawing of letters from the Poggio inscription (red) and the Marsuppini inscription (brown). Drawing based on photographs by Paul Shaw. Fig. 28. 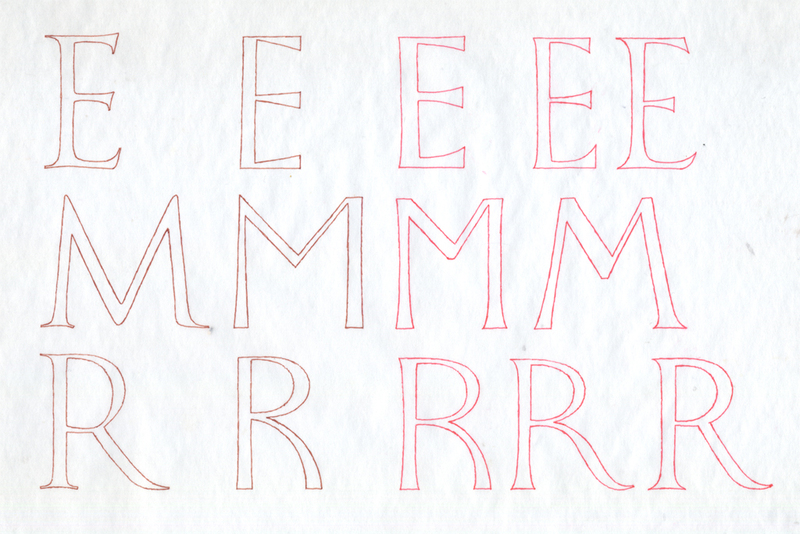 Drawing of letters from Poggio inscription (red) and Marsuppini inscription (brown). Drawing based on photographs by Paul Shaw. Fig. 29. Inscription from the Bust of Olympias, Queen of the Macedonians (c.1460–1464) by Desiderio da Settignano. Note the curved leg of R and the first M with straight legs and a short vertex. Fig. 30. Inscription on the Tomb of the Beata Villana (1451) by the workshop of Bernardo Rossellino in S. Maria Novella (Florence). The completion of the monument to Carlo Marsuppini, a few months before his death, meant that Poggio lived to see the classical Roman capitals he had studied and copied over a half-century earlier finally reappear in public in Florence. Over a half-century ago Millard Meiss, in “Towards a More Comprehensive Renaissance Paleography” in The Art Bulletin, vol. 42, no. 2 (June 1960), urged Renaissance art historians to pay more attention to lettering. Although some progress has been made since (e.g. the conference publication Un Pontificato ed una cittá Sisto IV (1471–1484): Atti del convegno, Roma, 3–7 dic. 1984 and the work of Christine Sperling) there is still very much to be done in this area. 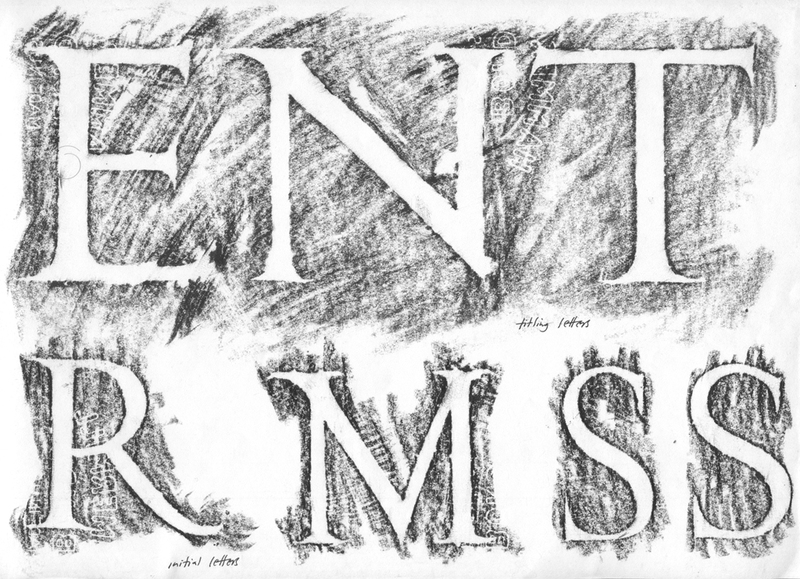 The session Forming Letters: New Research in Renaissance Calligraphy and Epigraphy at the 104th annual conference of the College Art Association is a small but important step towards achieving Meiss’ goal. With the advent of digital photography and the Internet, I look forward to not only more work on Renaissance paleography and epigraphy, but better work—work that transcends the pioneering efforts of Meiss, Albinia de la Mare, J.J.G. Alexander, Nicolete Gray, Dario Covi, Giovanni Mardersteig, et al. 1. Poggio bought the country house in 1427 while serving as the principal Papal Secretary to Martin V. The town of Terranuova was renamed in his honor as Terranuova Bracciolini in the 19th century. 2. See “A Reliquary Bust Made for Poggio Bracciolini” by James R. Rorimer in Bulletin of the Metropolitan Museum of Art Bulletin 14 (1955–1956), pp. 246–251. The lettering on the reliquary has been described as Florentine sans serif of the Donatello school style by Christine Sperling, but in my view is closer to medieval lettering and has little relevance to the capitals of the Terranuova inscription. 3. The chapel and reliquary are mentioned in the Testament Poggius of 19 October 1443. See Ernst Walser, Poggius Florentinus: Leben und Werke (Hildesheim and New York: Georg Olms Verlag, 1974) [orig. 1914], Document 56, p. 362 supra: “Item ultra predicta voluit,… dictus testator si ipse hoc vivens non fecerit, quod infra unum annum proxima futurum a die mortis dicti testatoris fiant et fieri debeant in dicte et pro dicta cappella….” in Section 7. The inscription has been transcribed by Fubini. See “Inscriptio in Privata Capella Ecclesiae S. Mariae in Terrannova” in Riccardo Fubini, ed., Poggius Bracciolini, Opera Miscellanea Edita et Inedita (Torino: Bottega d’Erasmo, 1966), p. 861 note and p. 863 transcription. Debra Pincus has called my attention to a discrepancy in the dating of the events described in the text. The text says they occurred in May 1433, yet the fourth year of the pontificate of Eugene IV was 1434. I don’t think the discrepancy has any bearing, however, on the making of the plaque. 4. B.L. Ullman, The Origin and Development of Humanistic Script (Rome: Edizioni di Storia e Letteratura, 1960), Chapter II: The Inventor—Poggio Bracciolini. Ullman (pp. 54, 56 and 63) argues that Poggio’s majuscules were closely based on Roman inscriptions but Nicolete Gray disagrees, correctly pointing out that they are pen-made and not related to carved letters. Nicolete Gray, A History of Lettering: Creative Experiment and Letter Identity (Oxford: Phaidon Press Limited, 1986), p. 122. 5. Nicolete Gray, “Sans Serif and Other Experimental Inscribed Lettering of the Early Renaissance” in Motif 5 (1960). 6. 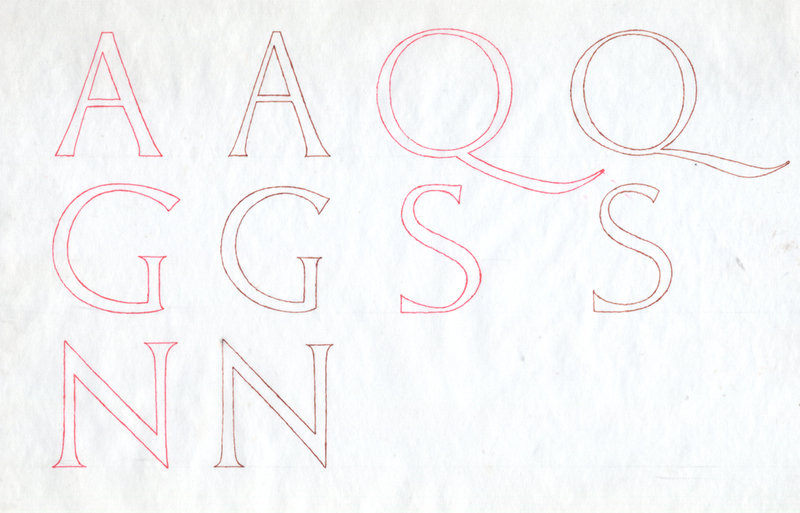 The overall dimensions come from Christine Margit Sperling, “Artistic Lettering and the Progress of the Antique Revival in the Quattrocento” PhD dissertation, Brown University (1985), p. 166. She says the letters are 2.5 cm high but my measurements indicate the size varies from line to line. The inscription is difficult to properly photograph and due to a deposit of wax on the surface from the racks of votive candles located in front of it. It also makes it impossible to do a rubbing of any quality [fig. 32]. 7. The puncti are diamonds in lines 10 and 11, but with line 12 they change to dots. Sperling uses the form of puncti to separate Florentine inscriptions into Ghibertian and Donatellian schools. However, neither form accurately reflects Roman epigraphic practice which used a triangular punctus in various guises. Triangular puncti appear in Romanesque and Medieval inscriptions as well as in the works of the bottega of Bernardo Rossellino. 8. Dario Covi refers to “perfected” Roman capitals. Dario A. Covi, “Lettering in Fifteenth Century Florentine Painting” The Art Bulletin XLV, 1963, p. 8 describes the letters of Donatello’s signature as close to classical perfection. 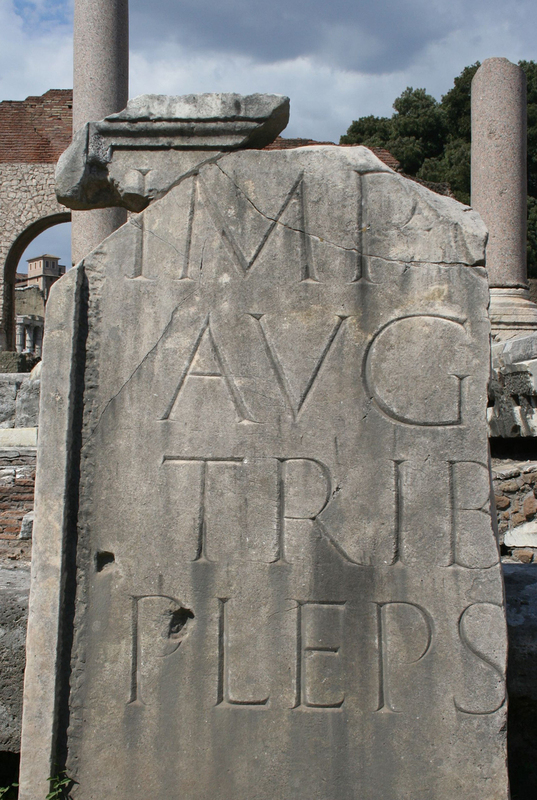 The St. James inscription, which reads in full T · PVLLIO / T · L · LINO / IIIIIII V [obscured] / AV [obscured] / ALB [obscured], was copied, either from an antique votive stone formerly at Monte Buso (CIL, part V, no. 2528) or from Jacopo Bellini’s drawing of it. See Four Roman Tombs (c.1450) in Paris, Louvre, Bellini book of drawings, fol. 44. The St. James fresco was destroyed in World War II and Mantegna’s painted inscription is only known to us from photographs. For a fuller discussion of this debate see Starleen K. Meyer and Paul Shaw, “Towards a New Understanding of the Revival of Roman Capitals and the Achievement of Andrea Bregno” in Andrea Bregno: Il Senso della Forma nell a Cultura Artistica del Rinascimento eds. Claudio Crescentini and Claudio Strinati (Rome: Maschietto Editore, 2008), pp. 276–331. 9. See The Social World of the Florentine Humanists 1390–1460 by Lauro Martines (Princeton: Princeton University Press, 1963). 10. Francesco Aretino (Francesco Griffolini, 1420–c.1465) has been proposed as the author of the epitaph. See Alfonso Lazzari, Ugolino e Michele Verino: Studii Biografici e Critici (Torino: Libreria Carlo Clausen, 1897), p. 14, note 3: “L’epitaffio del Marsuppini fu composto nel 1459 da Francesco Aretino, per incarico dei Medici. Ciò si ricava da una lettera che costui scriveva da Mantova a Piero di Cosimo il 19 luglio del ’59 (Vio Archivio di Stato, Firenze, Archivio medico av. il. princ. filza XIV, n. 47. Cfr. Fabroni, Magni Cosmi Medicei vita Pisa, 1789), II, 219. Anne Markham Schulz also cites this letter in arguing for a dating of the monument to the summer or later of 1459. Anne Markham Schulz, ‘Glosses on the Career of Desiderio da Settignano,’ in Verrocchio and Late Quattrocento Italian Sculpture (Florence: Le Lettere, 1992) eds. Steven Bule, Alan Phipps Darr and Fiorella Superbi Gioffredi, eds., Florence: Casa Editrice le Lettere, 1992, pp. 180–181. However, the correspondence of Francesco Aretino only indicates that he proposed two epitaphs for Marsuppini—neither quoted—to Piero di Cosimo de’ Medici, not that the epitaph as carved was his. Tommaso Mozzati challenges Schulz’s interpretation of the document in Desiderio da Settignano: Sculptor of Renaissance Florence eds. Marc Bormand, Beatrice Paolozzi Strozzi and Nicholas Penny (Milano: 5 Continents Editions, National Gallery of Art and Musée du Louvre Editions, 2007), p. 118: “…the text inscribed on the tablet, despite the elegance of the characters, is not centered or uniform, thus suggesting that the letter-cutter was obliged to adapt the epitaph to a space that had been planned for those years.” I disagree with his conclusion. The decision to center a text would not be affected by the limitations of a predetermined space. 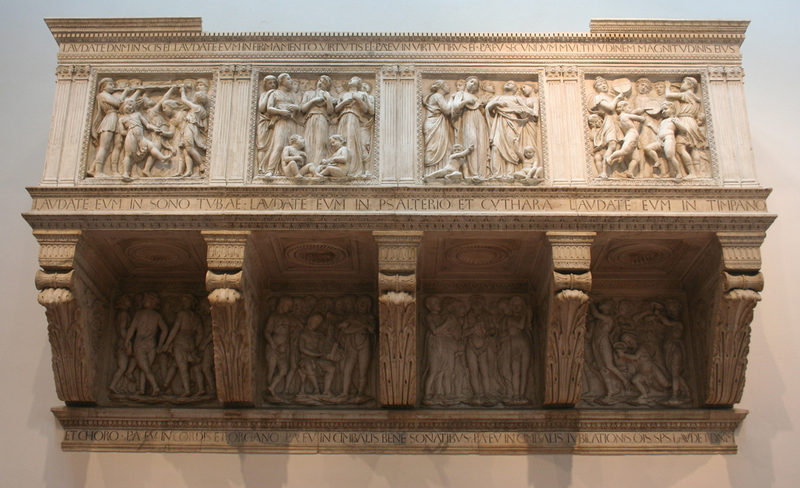 Any difficulties in adapting the epitaph to the space would have appeared either horizontally as crowded letters—as in the Bruni monument—or vertically as crowded lines. 11. Fubini, p. 861 concluded that the change in lettering indicated that two men carved the inscription. Sperling, p. 168 argued that it was the work of one man, though she mistakenly did so on the grounds that the letters—other than M and R—are consistent throughout. 12. See Ullmann, pp. 49–51. 13. See the sketchbook of Jacopo Bellini in the Louvre (Accession number 401484), dated 1430–1460. Die Skizzenbücher Jacopo Bellini ed. Victor Golubew (Brussels: G. Van Oest & Co., 1908), vol. II, plates 43 and 44. 14. Millard Meiss, “Towards a More Comprehensive Renaissance Paleography” in The Art Bulletin, vol. 42, no. 2 (June 1960), pp. 98–99 contain his assessment of the Bruni inscription which unfortunately ignores letter- and wordspacing and individual letters such as the P with its large, open bowl and the peculiar G. The P and the triangular puncti indicate some classical influence on the carver of the inscription. 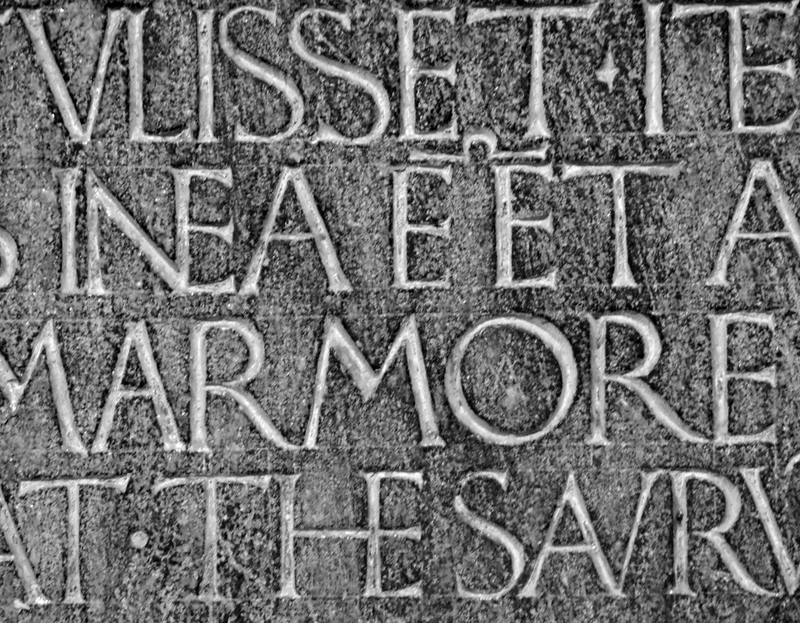 An interesting aspect of the Bruni inscription that escaped Meiss’ notice is the presence not only of horizontal guidelines for the base and top of letters, but also of vertical guidelines for their width. one for whose mind there was not world enough. knew all that nature, the heavens and human conduct have to tell. Alas, the fame and splendour of your choir is dead. I believe that the text is deliberately not centered, but flush left/rag right with two lines indented to accentuate Marsuppini’s name and his death. 16. The only letters in the Marsuppini inscription that deviate significantly from classical models are the K, which is Greek in origin, and M. Other than the K and Tironian et, all of the letters in the Marsuppini inscription have close antecedents in the Terranuova inscription. 17. See the inscriptions on the tomb of the Beata Villana (1451–1452) in S. Maria Novella and the tomb of the Portuguese Cardinal (1460–1466) in S. Miniato as examples of the distinctive Rossellian version of the Florentine sans serif. Fig. 31. Details of the Poggio inscription and the Marsuppini inscription. Photographs by Paul Shaw (2007 and 2015). * The talks, in order of appearance, were: From ‘New’ to ‘Old’: Poggio Bracciolini’s Role in the Calligraphic Revolution of the Early Renaissance by Roberta Ricci (Bryn Mawr College); The Touch of the Artist: Niccolo’ dell’Arca’s Signature on the Dead Christ by David Boffa (Beloit College); Poggio Bracciolini, an Inscription in Terranuova and the Monument to Carlo Marsuppini: A Theory by Paul Shaw (Parsons School of Design); and Portable Monuments: Pope Julius II and his Medallic Epigraphy by James Fishburne (University of California, Los Angeles). Unfortunately, Philippa Sissis (Universitaet Hamburg) was unable to attend the conference due to illness and thus her talk, entitled The Visual Acuity of Poggio Bracciolini and Niccolo’ Niccoli, was not presented. The discussant was William Stenhouse (Yeshiva University). I would like to thank Prof. J.J.G. Alexander and Prof. Stephen Oakley for the translation of Poggio’s epitaph; Monica Dengo and Bronwen Job for their assistance in photographing the inscription; and Debra Pincus for not only organizing the CAA session but for her helpful critiques of my text. Fig. 32. 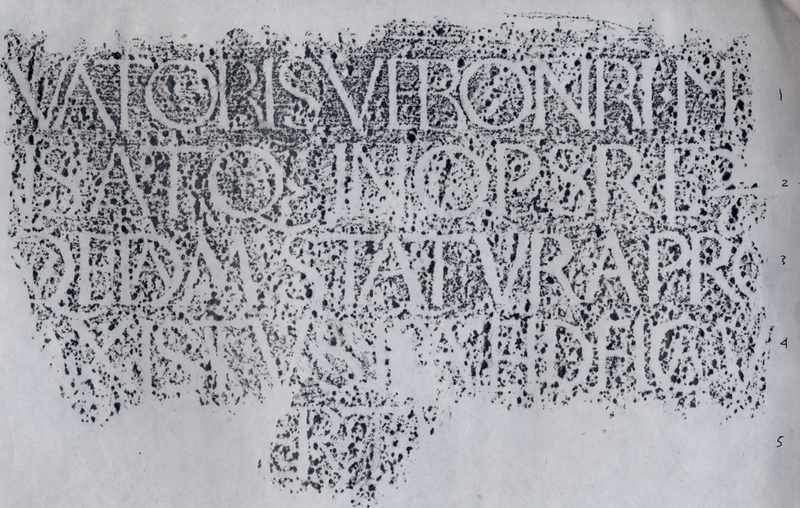 Rubbing of part of the Poggio inscription (lines 1–5) by Paul Shaw and Monica Dengo (2007). Despite the rough background, it is still possible to clearly see the two forms of M and of R, as well as the Q with the long tail.